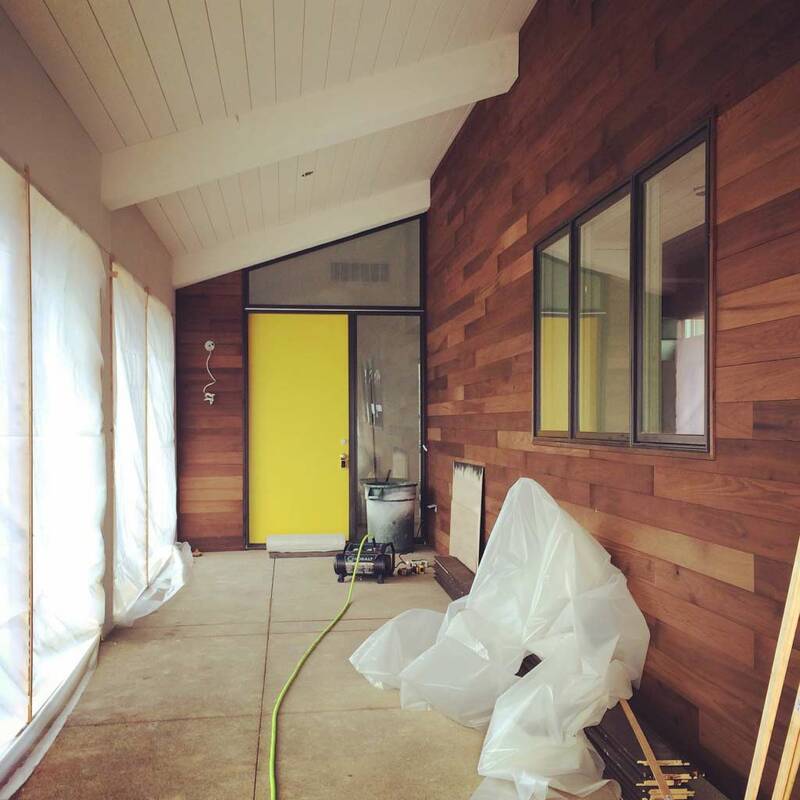 Midcentury Entry at New Modern House Ditch Road is nearing completion. Thermally-treated wood strikes again, in this case, thermally-treated Poplar makes an appearance. Check out the project page here. Thermal modifying wood is a technology that improves the resilience of wood products used in exterior conditions and can be used on most wood species. Our client at #Copperwood inquired about the technology and if we could use it at their home – which we did. On that project, we used thermally-modified Ash. Client for this project was so impressed by the beauty and resilience after visiting Copperwood, they requested something like it here – in this case, thermally-modifed Poplar was used, provided by a local source who learned about the technology from HAUS/Copperwood.